Astridestella.info: WHEN WILL IT HAPPEN-WHAT IS DIVINE TIMING? HAVE YOU ANY PSYCHIC PHENOMENA QUESTIONS? 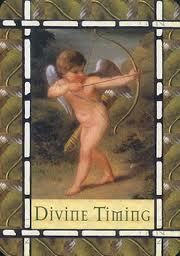 WHEN WILL IT HAPPEN-WHAT IS DIVINE TIMING? HYPOTHALAMUS IS THIS THE KEY TO ANTI-AGEING? Recently I had a client, in fact she's been asking for a reading every week with the same question. I don't keep notes as I prefer to rely on my guides to tell me what's happening around a client, anyway as I use tarot cards to begin a reading I began laying them out and every time the same cards turn up and of course I have to give her the same answer, the situation is just the same and the answer is just the same that she will have to be patient for she will get her wish but we are bound by divine timing. If you want to experience more harmony, happiness and effortless manifestation of your desires in life, you have to let go of all resistance towards whatever that comes your way. The reason why we fight against what comes is because we think that we are being kept from having our way. But the truth is whatever that happens is exactly what is meant to be, and it is all part of the process of the manifestation of our desires. Everything is happening in divine timing and we can flow if we do not limit ourselves. Sometimes you were expecting to meet someone on a certain day but when that day comes, the person cannot meet you for some valid reason. Flow with it and meet that person on another day. The reason why you might be resisting change of events is because you have been anticipating it and thinking a lot about it. But when it doesn’t happen at the expected time, you don’t know what to do in place of it because you don’t feel like doing anything else other than that which you already had in mind. If something doesn’t happen at the expect time in the expected way, it means it’s going to happen at a better timing in a better way. Don’t resist what is happening but instead focus on doing something else. You will discover things gone a much better way after the whole event has passed. You did something important which enhanced the meeting with the person that would not have happened otherwise. Hence it is better not to resist what is happening when it isn’t necessary, but to just go with the flow. Just know everything happens at the RIGHT TIME AND THE BEST POSSIBLE TIME and only spirit knows this and we have to learn to trust, they do know what is best for us because spirit love us. Spirit have the ability to know what is ahead and any complications so they decide what is the best time to manifest our wishes. If we were to rush things before the optimum conditions were reached it could prevent our wishes manifesting, this is why we need to trust and believe in Divine timing.